This centre on Buckingham Palace Road puts you in the heart of Victoria's vibrant professional community. 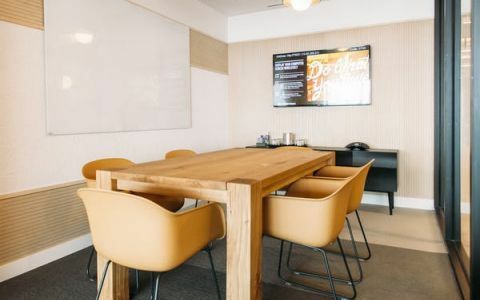 We've transformed an entire floor in this modern, six-story building to offer sweeping common areas, beautiful conference rooms, and sleek private offices designed to maximize productivity. Front-desk service, fully stocked printing stations, and onsite cleaning staff add to the appeal. Plus, the building is dog-friendly. Easy access to Victoria station, the underground, as well as Terminus place makes your commute a breeze no matter where you're coming from or where you're heading. After work, enjoy a concert at Victoria Palace Theatre or head to one of the many critically acclaimed restaurants in the area.